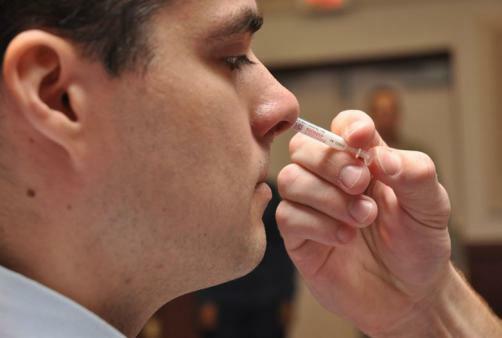 The US Centers for Disease Control and Prevention (CDC) has now recommended AstraZeneca’s FluMist as an option for doctors for the coming flu seasons. The decision is likely too late for the next winter season, with most stocks of vaccine having already been ordered in, but could see the quadrivalent vaccine used after that. The decision marks a serious turnaround, after the last two seasons the CDC had advised against ordering the vaccine, due to a long-term study showing that it proved ineffective against the swine flu outbreak. At one time, AZ’s vaccine had been the go-to option for young children because it meant that any child fearing an injection could easily receive the nasal spray-form of immunisation. It led to a dominant position in the market for AZ, with the product accounting for approximately a third of vaccinations for influenza. However, once the CDC revealed that large studies had suggested that FluMist was only 3% effective, it was no longer recommended and sales plummeted. As a result, AZ reformulated the vaccine with a different production method and returned to the CDC; the CDC delivered a 12-2 vote in favour of renewed recommendation and availability of the drug. The recommendation was not entirely unequivocal – due to the data AZ presented not being based on evidence from the previous two flu seasons. This was no fault of AZ, the protection offered by FluMist protects against the H1N1 strain of influenza whilst the last two seasons have been dominated by other variants, including the H3N2 strain that has proved particularly problematic this season, globally.